Luxury redefined. 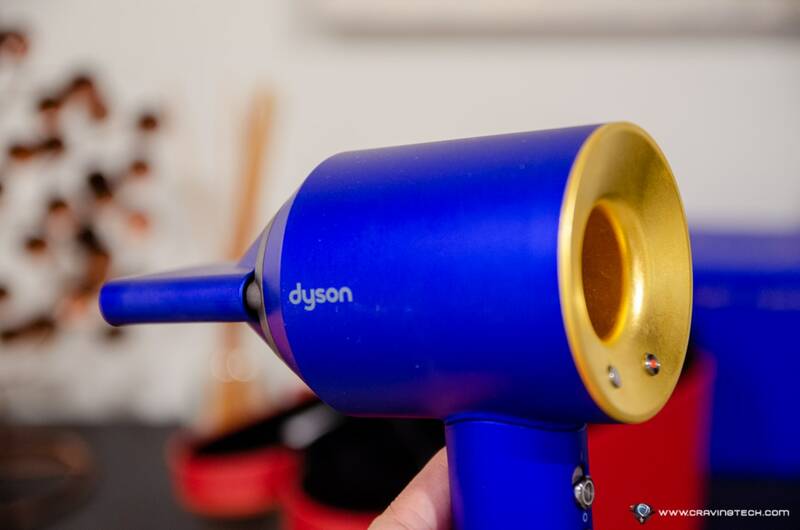 Dyson Supersonic Limited Edition comes in 23.75 karat gold! Gold has been the colour of the year for these past three years. It’s eye captivating due to its elegance and posh-looking. In fact, most modern products (even smartphone) come with a Gold colour selection and believe it or not, they are usually the best sellers! Gold is definitely a game-changing colour in fashion, technology, and beauty industry. And its beauty is probably what captivated James Dyson to get the team together to make the Dyson Supersonic limited edition. 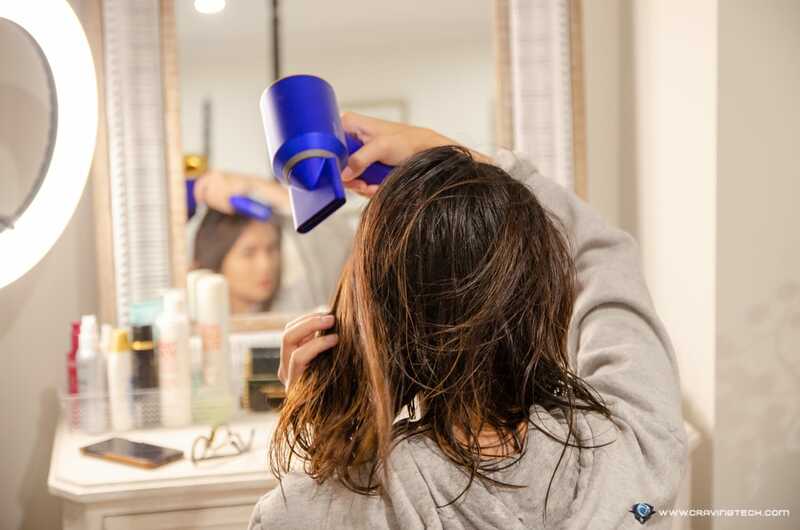 We are all familiar with the Dyson Supersonic hair dryer which is the most powerful hair dryer that I’ve ever used, yet the least damaging one to my hair. 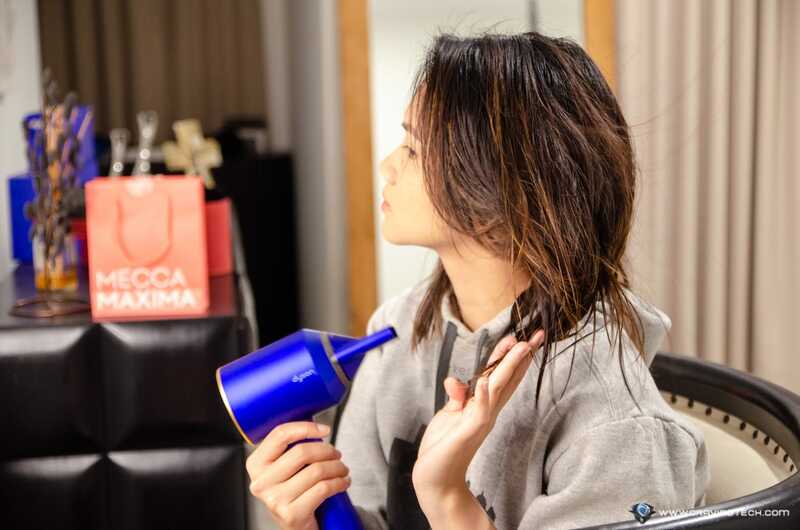 I had a chance to attend the Dyson’s Supersonic Hair Dryer 23.75 karat gold launch in Melbourne three weeks ago and believe it or not, I fell in love with the gold colour the moment I saw it for the first time! 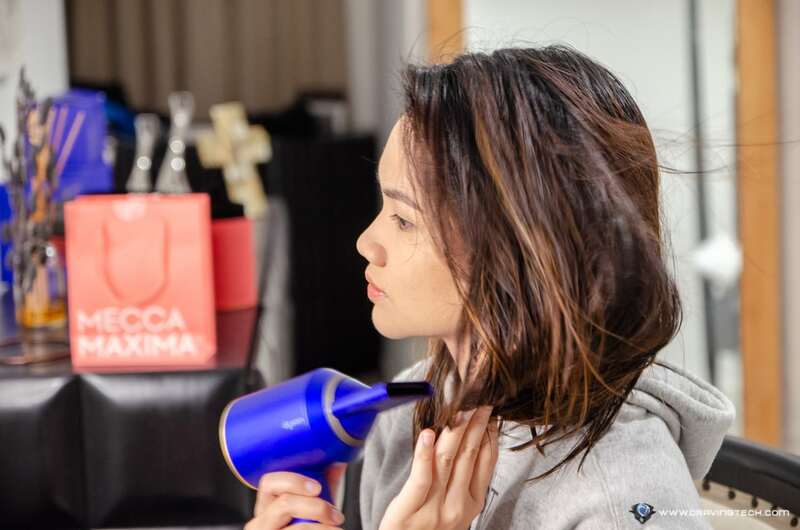 This is my first time using the Supersonic hair dryer, but make sure to check my review on the Dyson AirWrap. 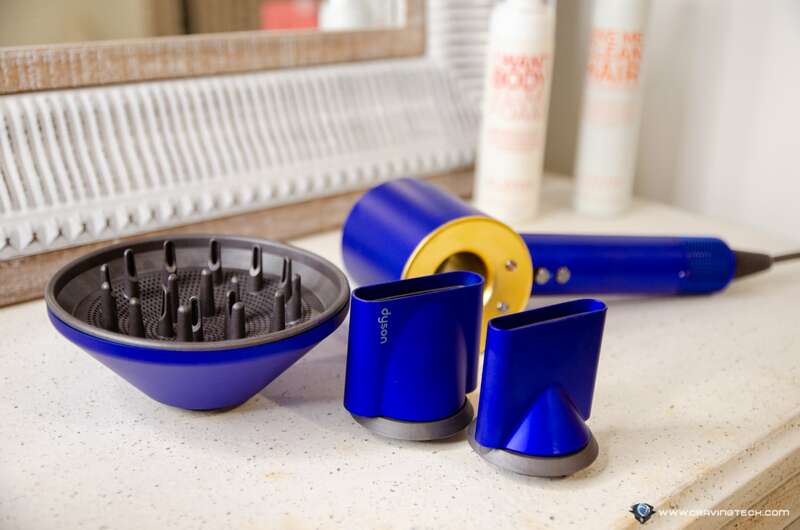 As you may know, Dyson Supersonic dries your hair quickly using a high-pressure jet air. It utilises Dyson’s small digital motor V9 that spins up to 110,000 rpm. 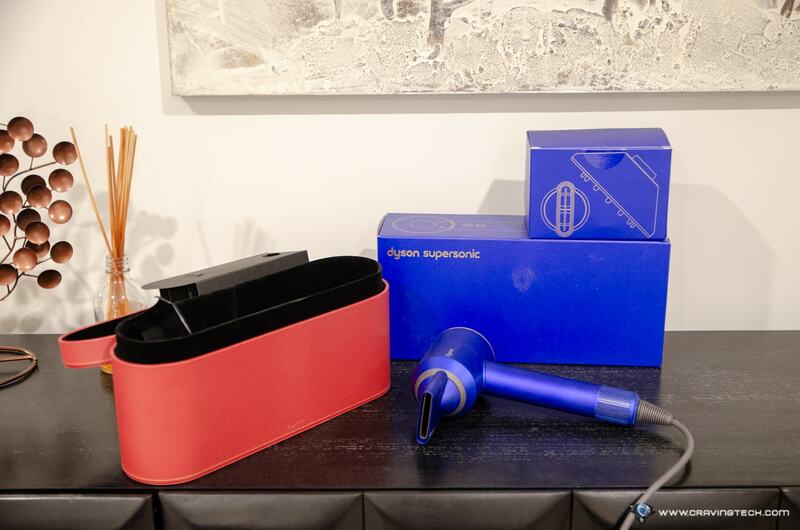 You might wonder about the heat generated with that kind of power, but thankfully, Dyson Supersonic has a built-in heat protection that measures the air temperature 20 times a second, preventing extreme heat damage to the hair. Compared to traditional hair dryers, Dyson Supersonic is the answer to our damage, thinning, and dull hair from extreme heat exposure. 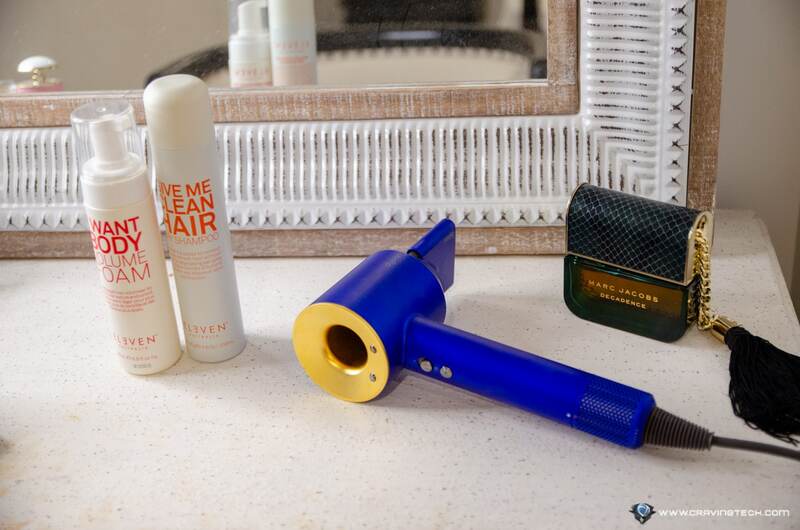 As a result, you’ll get a smooth, shiny hair after several times of using the Supersonic. It is a game changer to the hair industry and feel free to watch some of the Dyson videos explaining why their solution is so far more superior and better. If you are doing this to your hair everyday, you’d want a Supersonic for sure. 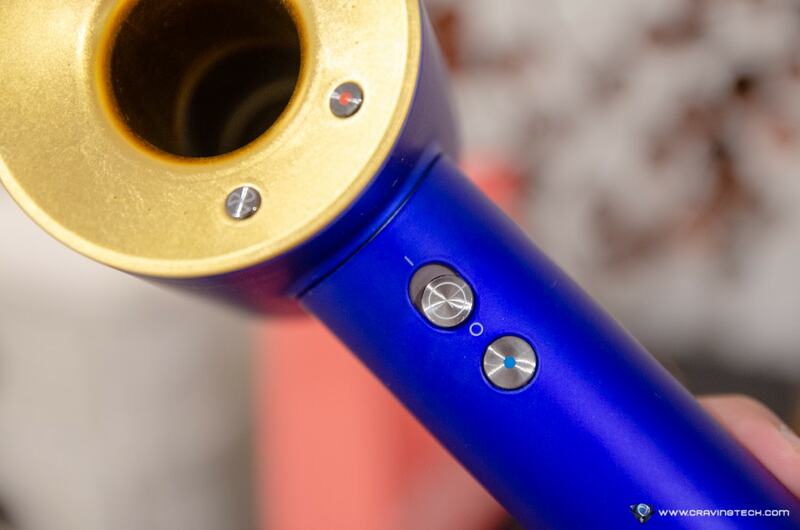 The Supersonic has 4 precise heat settings (in Celsius): 100, 80, 60, and 28 (which Dyson calls a “Cold Shot” through a dedicated button that’s easy to access with your thumb. 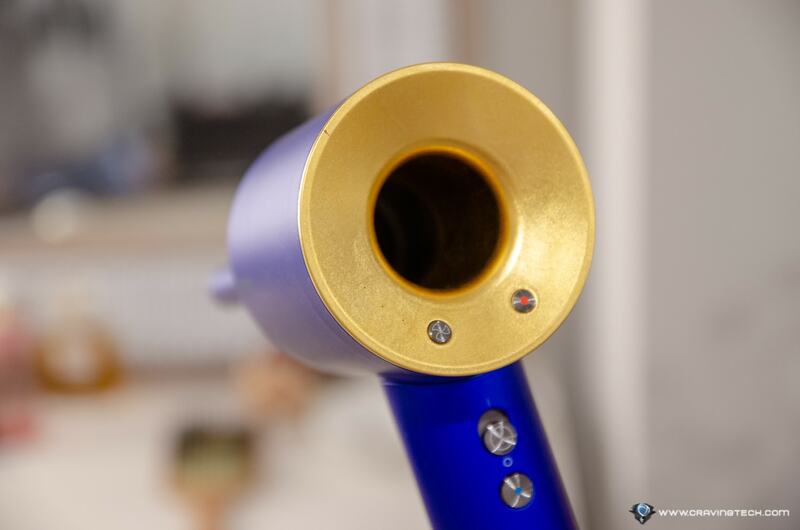 So what makes the Dyson Supersonic Hair Dryer in 23.75 karat gold different from the standard model? To be honest, it’s just the luxurious look and feel with the gold touch. Performance wise, it is the same. But that gold finish looks so good that you’d want to grab one. It features real, delicate gold leaves from Florence, Italy, and applied manually by hand using traditional gliding techniques to form a smooth finish. Dyson was working closely with Karen Haslewood, the master in hand gliding, to develop this product. It defines when a “traditional art craft meets with the modern technology”. Applying gold leaves perfectly is not something that’s possible through a machine. 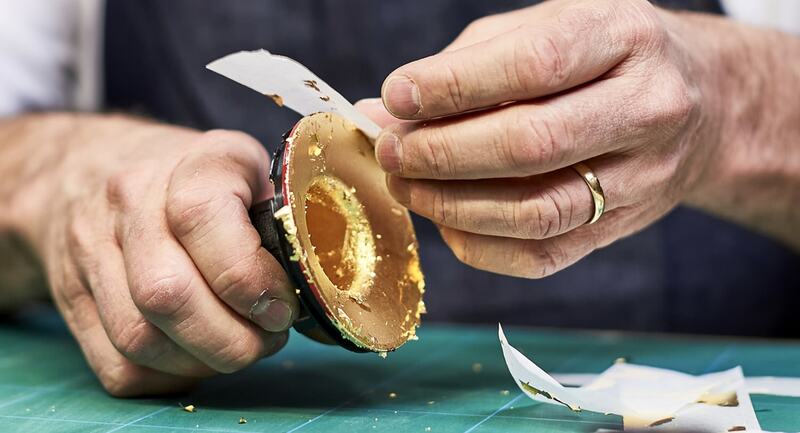 Sam, the Dyson engineer who was with us at the launch event, told us that no matter how hard they’ve tried, the gold leaves had to be prudently glided by the Dyson engineers manually. 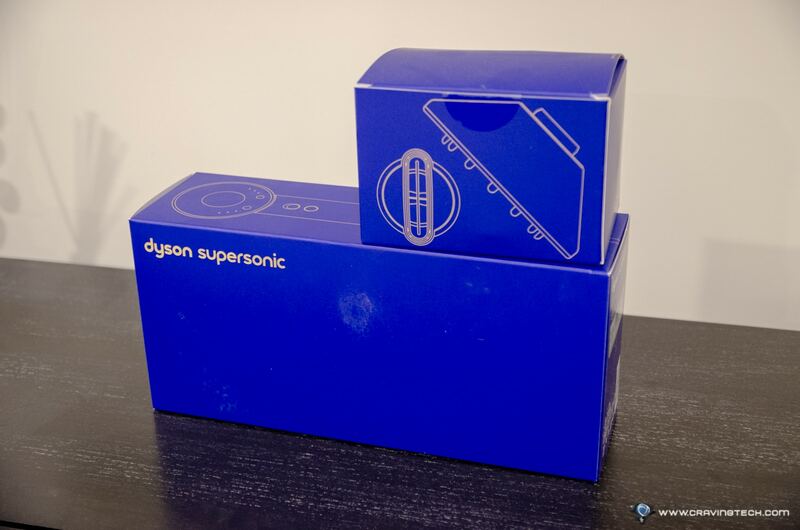 This is what makes the Supersonic limited edition… well, limited. But wait. Why 23.75 karat and not 24 karat? Believe it or not, the Supersonic limited edition is actually not easy to make. The team went through numerous prototypes to test and make, before they could come up with the magic ratio. It’s the perfect formula. The gold accent is magnificent and matches the primary sapphire blue colour of the product (thankfully it’s not all in gold!). Before the gold leaves were applied, the surface actually has a red base colour – and it’s for a good, personalised purpose. If you are a fan of gold colour and have an appreciation in hand gilding art craft (plus some extra dollars in your pocket), then definitely go with the limited edition because you’ll love how beautiful it looks on your dressing table. Dyson Supersonic Limited Edition (in 23.75 karat gold) is available for purchase at AU$699 and comes with with red ‘Gesso’ presentation case (which looks as awesome as the hair dryer). A Melbournian who loves her coffee and pets very much.